Launch titles for a new generation of consoles have a lot to live up to. They have to be discernibly different from the previous generation, look better, carry all sorts of bells and whistles and run smoothly. Given that this is the first hardware refresh in eight long years, perhaps the expectations leading into this gen are too high. Some people might have been expecting 60 frames per second and 1080p on every game, but recently it came to light that the early games of this console cycle will rarely be hitting that mark. In fact, Dead Rising 3 falls far below it, as Digital Foundry found out on behalf of Eurogamer. The Xbox One launch title runs at 720p and is supposed to be a consistent 30 fps, but sometimes it dips down to the lower twenties and high teens. The dip is especially noticeable in the large outdoor areas now that Dead Rising 3 is a contiguous open-world and boasts a larger variety of zombies than the previous titles. Dead Rising 3 does have a crazy amount of effects like per-object motion blur (which the original game had as well, believe it or not) and seems to be a vast improvement over the performance the game displayed at E3, which was apparently choppy and tearing frames all over the place. It seems that Dead Rising 3 definitely puts the Xbox One through its paces. What do you guys think? 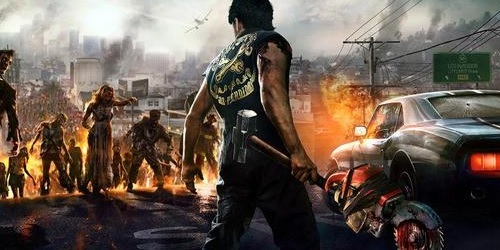 Did Dead Rising 3 promise what it can’t deliver? Did we expect too much going into this next generation of consoles? Is 1080p at 60 fps still another cycle off? I found this article to be quite curious, since I had the opportunity to play the game two weeks ago at an Xbox Area One event. I tried to do everything in my power to put the game through hell. I mowed down literally hundreds of zombies in a matter of seconds with the roller hog (steamrolling chopper with flamethrowers) and swung around a particle effect heavy electrical weapon, yet I experienced no visible slow down whatsoever. I think the whole 1080p at 60 fps standard is unrealistic, especially at this stage. We just got done seeing games that were incredibly optimized using 8 years worth of experience with one set of hardware, so no developer is going to just hit the ground running with these new systems. It’s going to take a while for us to get our “Gears of War” of this generation. People want a computer that hooks up to their TV and plays games with a controller for ~400 – 500 dollars – this is what’s going to happen. Not every leap is going to be as dramatic as SNES to N64 and people need to understand that. I think this generation might finally be the one where gameplay overrules graphics on a broader level. @Drell Well, Digital Foundry admitted recently that they botched the XBO/PS4 Battlefield 4 comparison pretty hard, so maybe take it with a grain of salt. I’m hearing from a lot of places that the framerate is a steady 30. I really hope this game comes out for PC some day, or that the XBO gets super cheap at some point. Previous Previous post: Pixel Count: Next Gen Launch Titles?